Good morning everyone! 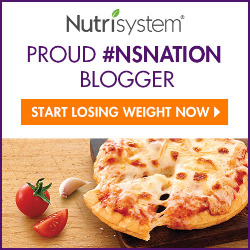 Today marks the first day that my husband and I are starting our Nutrisystem diets! We will be sponsored for 3 months on the new My Way program so I hope you'll watch us on our journey. To kick off this program, I thought I would share both the Men's Select program unboxing and the Women's Select program unboxing. I will also be posting daily food vlogs on all of our meals. Check my channel every day to watch what we ate and what we thought about it! I will be posting weekly blog updates every Monday to let you know how the week was overall and how much weight we have lost along with links to each meal vlog. Check out each video below! It'll be a good hour of unboxing goodness and give you an idea of what you can expect if you sign up for this My Way program! Women's Select Program Unboxing *Sponsored by Nutrisystem. All opinions are 100% honest and my own.